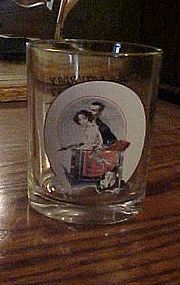 Pretty Sandwich glass clear mug in great condition with no cracks, chips or cloudiness. 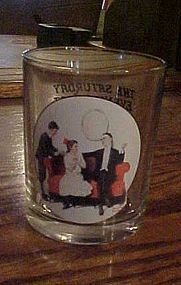 Measures 3 5/8" tall and the rim has a diameter of about 3". Looks like a Tiara pattern but maybe a little different, but would go well with. I have 9 available, Price is per mug. All are in Pristine condition. 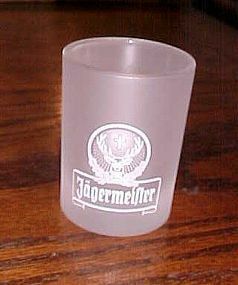 Jagermeifter Jager Frosted glass Embossed 2cl Shot Glasses,Excellent Condition, Approximate Measurements - 2 1/2" Tall 1 3/4" Wide. Excellent like new condition. I have 8 avaolable. 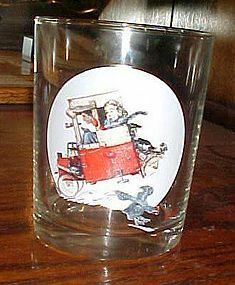 Price is per glass. 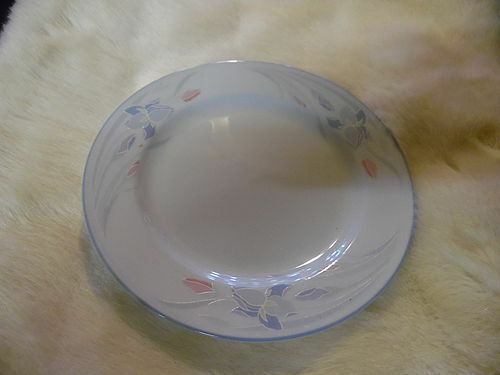 7" dessert or pie plate, Royal Staffordshire Victoria pattern J & G Meakin mark (1962). Perfect condition. Green and white border. I have 4 available. Price is for each. I will be listing other pieces in this pattern. 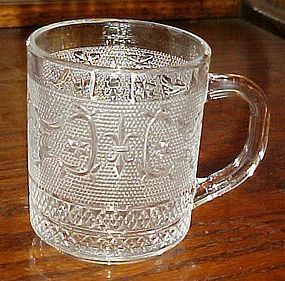 Retro 1970's single cup with platinum trim. Made by Style House fine china. Black and grey script squiggles design, called Rhythm. Pristine condition. 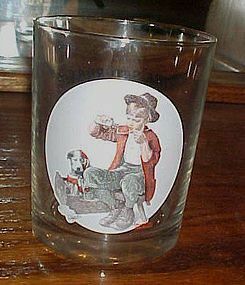 I have other pieces in this pattern I will be listing also. I combine shipping to save you money. Please send zip so I can calculate shipping cost. 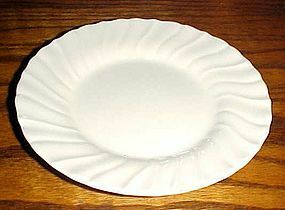 Retro 1970's fruit or sauce bowl with platinum trim. Made by Style House fine china. Black and grey script squiggles design, called Rhythm. Pristine condition. I have 5 of these, price is per piece. I have other pieces in this pattern I will be listing also. I combine shipping to save you money. Please send zip so I can calculate shipping cost. 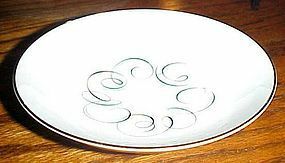 Lovely 7 1/8 butter plate in the Iris pattern from the Excel Fresh Flowers line. 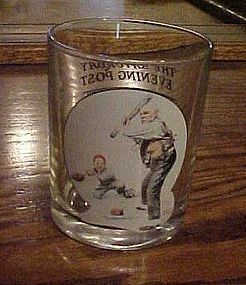 These were from the 90's and available at some Supermarkets as a promotion. Weekly, different featured pieces were available to purchase with your groceries. I have 10 available. ALL are pristine and like new. 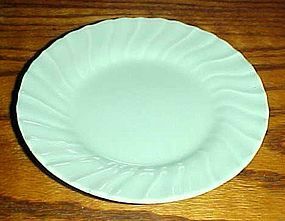 Price is per plate. I will be listing other pieces in this set also. Please check the catalog. I combine shipping, so email me your zip code for postal calculations. 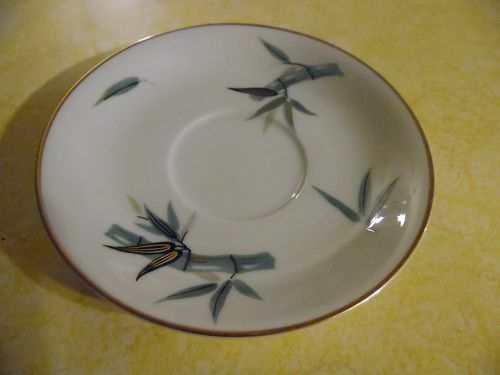 Vintage Noritake Pattern # 5490 Bamboo saucer.Made from 1953-1957. 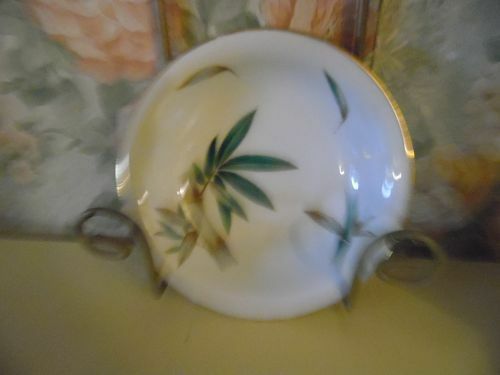 White with green and black bamboo with gold trim. 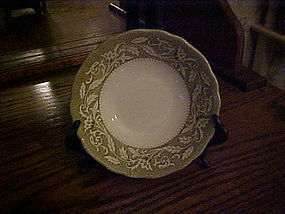 "Noritake China, N, Japan, 5490" underneath. Measures 5-1/8" in diameter. Excellent condition. Wonderful condition with no chips, cracks or discoloration or wear to the gold trim. 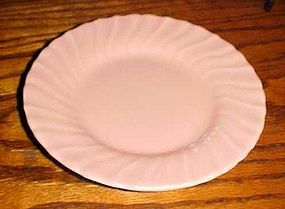 I have 9 available, and price is per saucer. I have other pieces in this pattern I will be listing too.I will gladly combine multiple items to save on shipping. 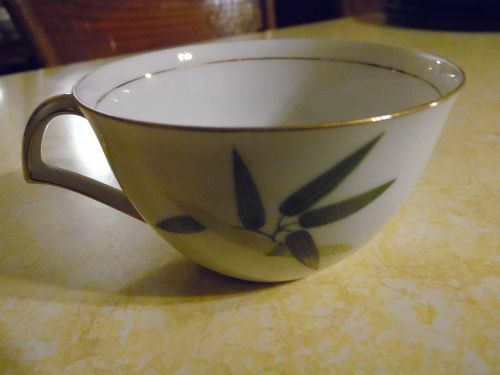 Single china cup in the Spring Bamboo pattern by Narumi China, made in Japan CUp is 2" tall and has a diameter of 3 5/8". 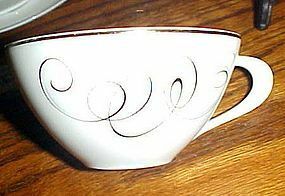 It has gold accent trim and an inner gold ring inside the cup as well. PERFECT condition. I have 8 available. Price is per cup, all are in perfect condition. 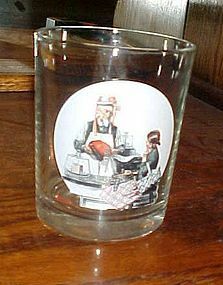 Introduced in 1951 but was discontinued.